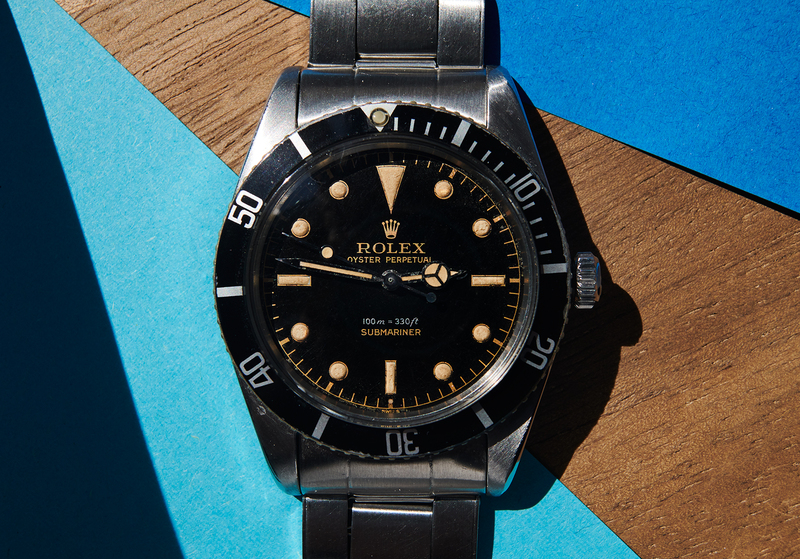 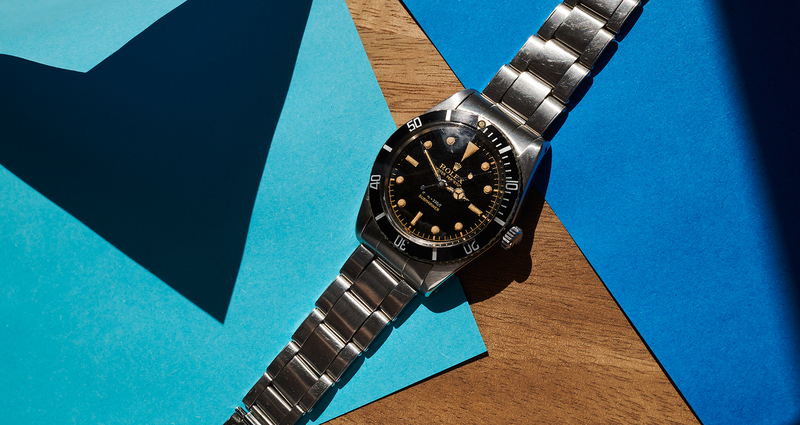 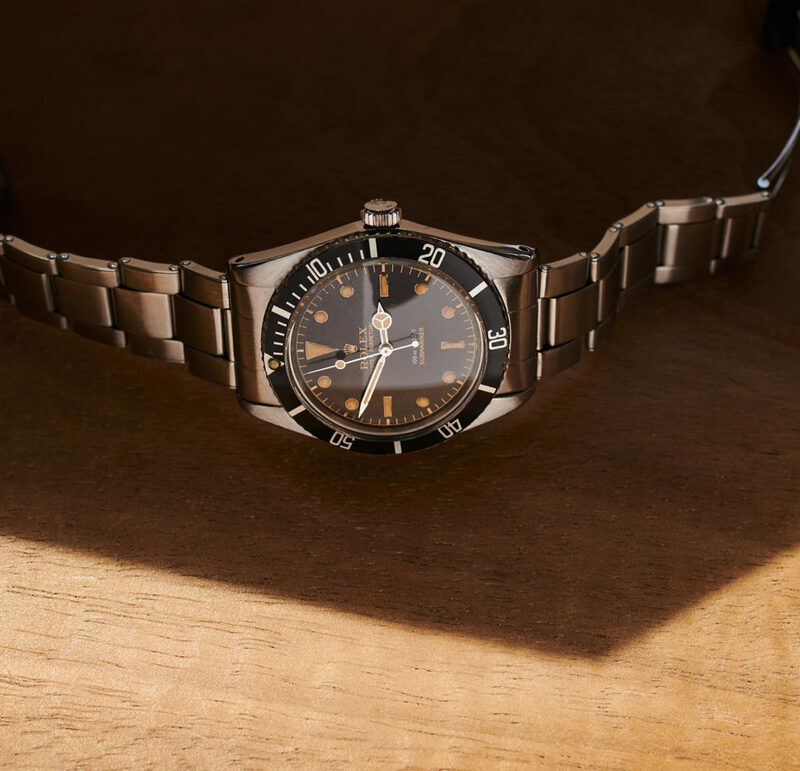 This early „non-crownguard“ Submariner from 1959 has become a legend for watchcollectors, as the bigcrown-version of this model is widely known as the „James Bond“. 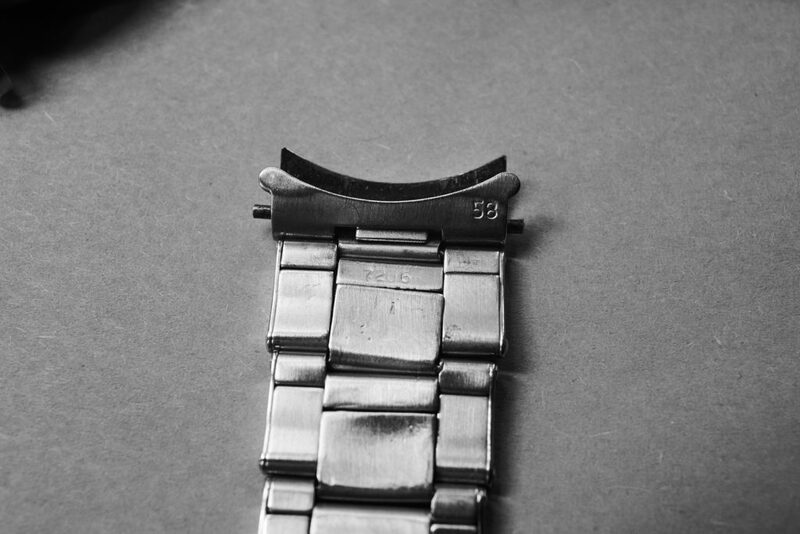 The example we offer for sale today comes with a beautiful fat 38mm case with readable numbers (serial 48xxxx) and 3/59 engraved caseback. 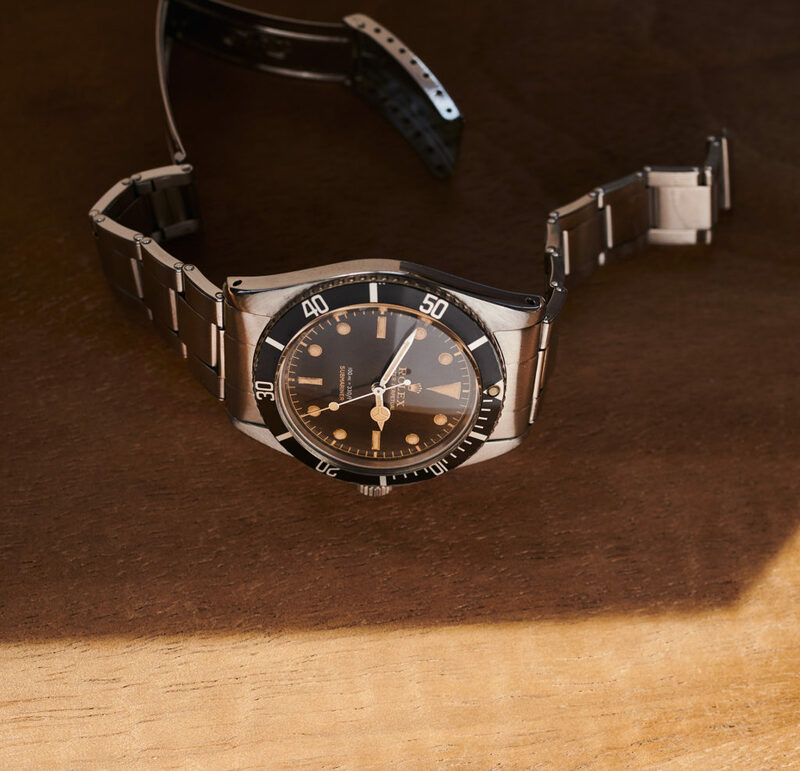 It´s original glossy-dial with gilt and silver writing is in overwhelmingly charming aged condition, showing shades of browntones in the direct sunlight. 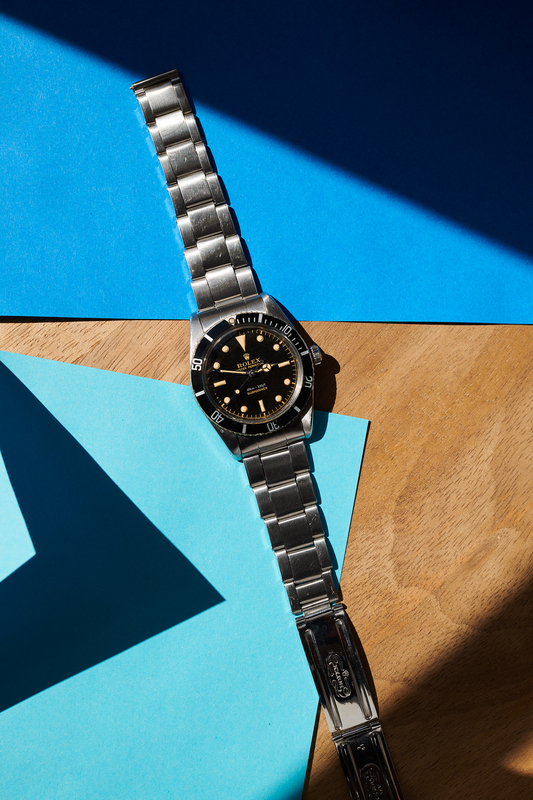 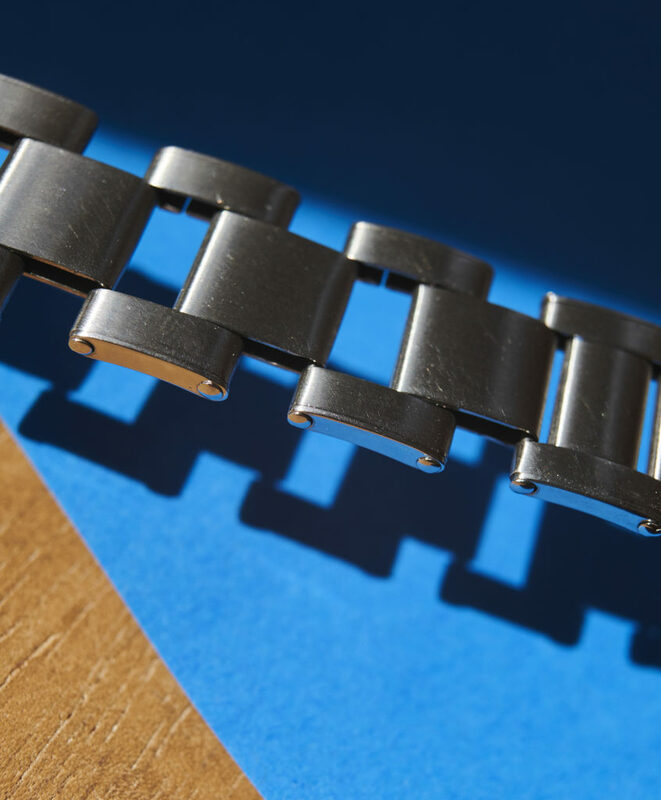 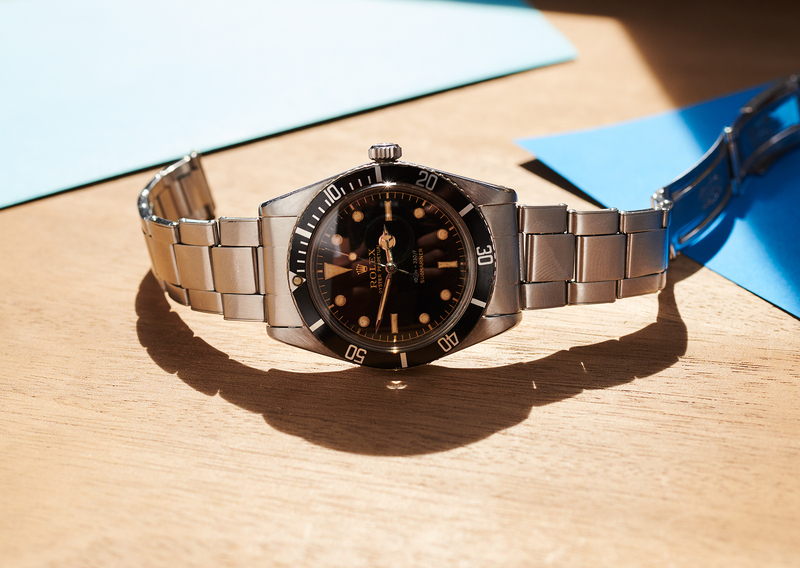 The colormatching Rolex tritium-handset as well as the fatfont bezelinsert in that original bezel are vintage Rolex parts, that have been built in at a service in the early 1980s. 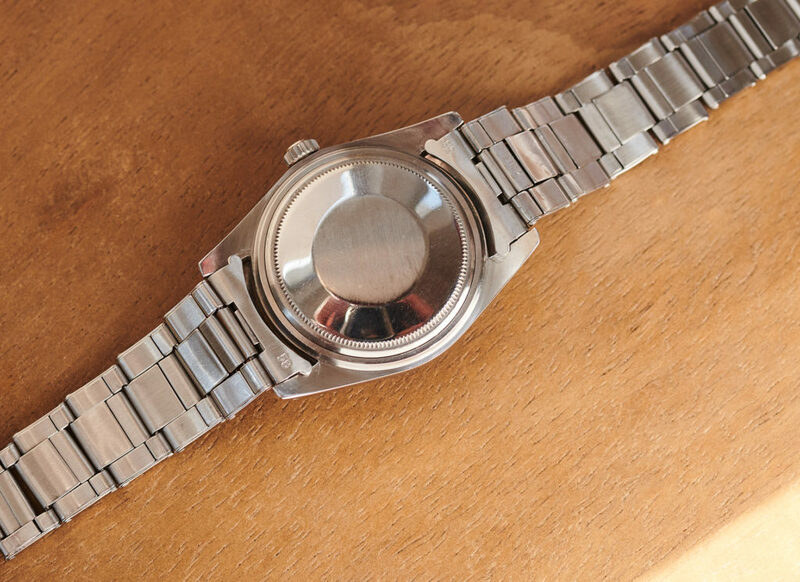 They live together with this watch for the longest time in the meanwhile, as we have learned from the original spanish first owner. 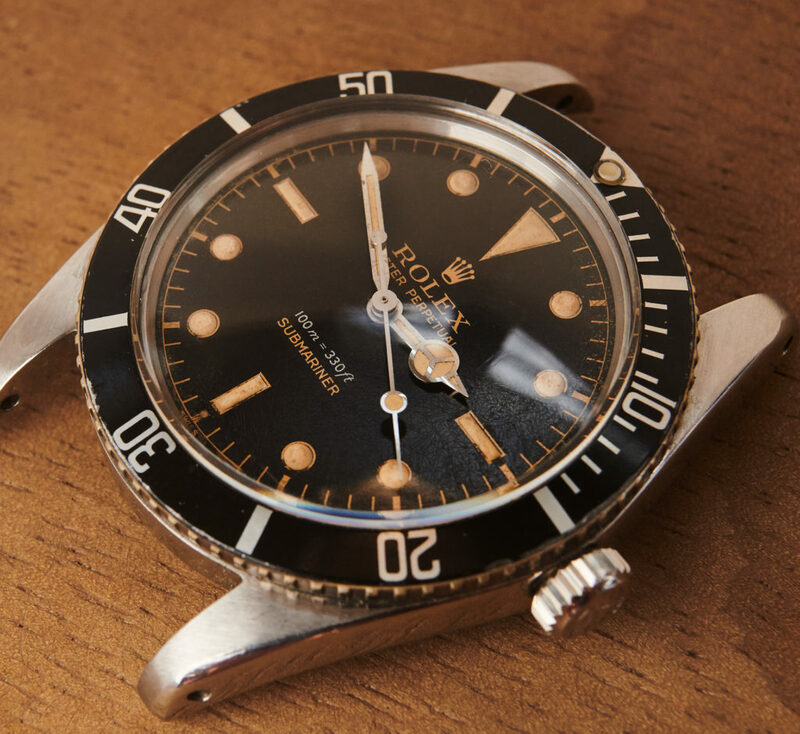 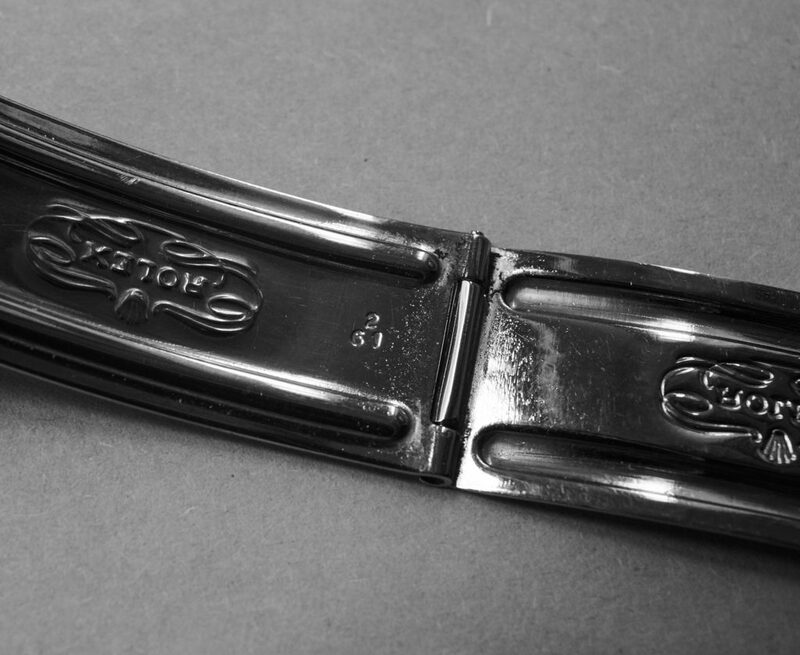 The 1530 Rolex movement has been checked through and is not in the need for a service, keeping good time. 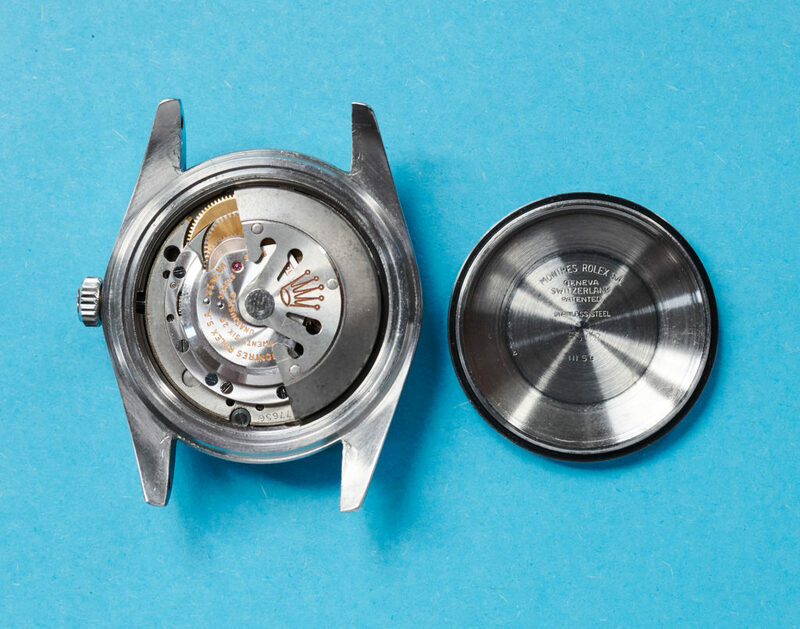 It is still powered by the original butterfly rotor. 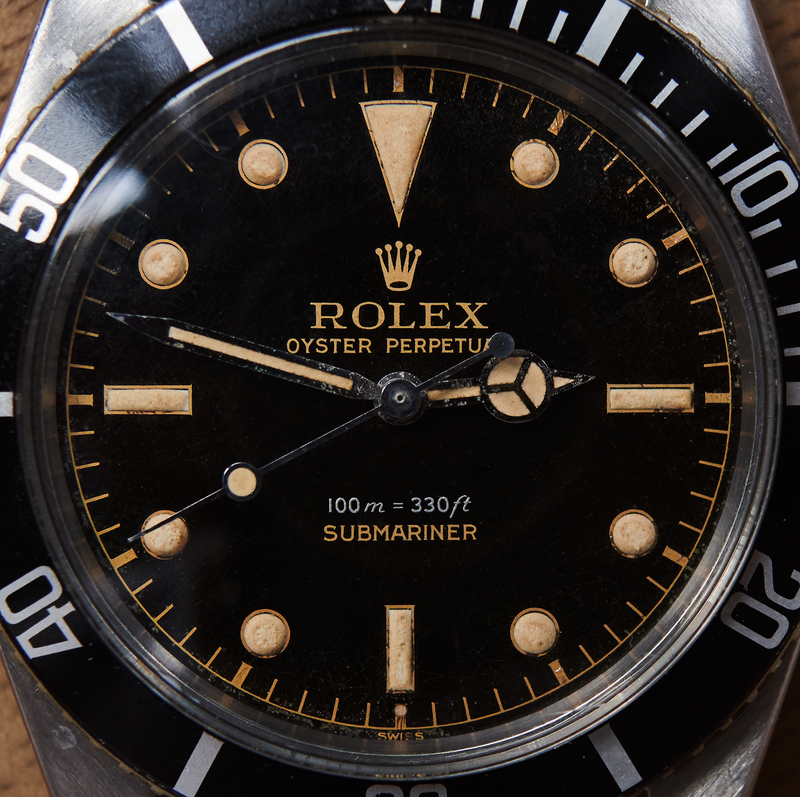 This stunning early submariner comes on a rare and periodcorrect expandable Rolex 7206 rivet bracelet with 58 endlinks.